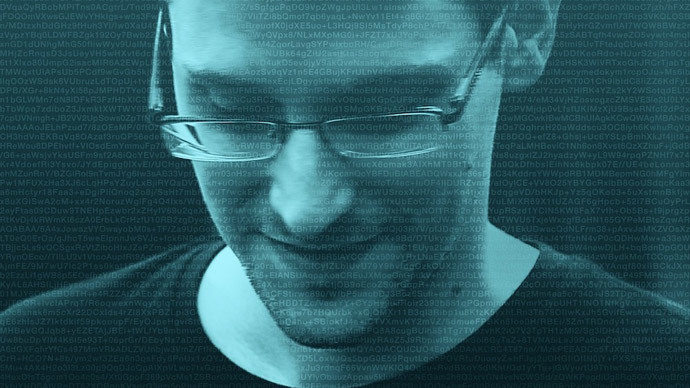 The documentary, made by German investigative journalist John Goetz and Danish documentary filmmaker Poul-Erik Heilbuth, tells Snowden’s story from the moment he left the US for Hong Kong to his arrival to Terminal F at Moscow's Sheremetyevo Airport in 2013. One of the authors, John Goetz, told RT that he was interested in looking precisely at the period of what happened to Edward Snowden in Hong Kong and during his journey to Moscow. “We learnt a lot about how the world works, how world politics work. For us it was very important to kind of remember what happened here – that’s why we did the documentary,” Goetz said. The secrecy that surrounds Snowden resembles spy movies and has been depicted in the documentary. “The question mark that hung over us more than anything else was the fact that we had no idea who the person was we were about to meet. How would we know that we were not talking to some agent or somebody else? 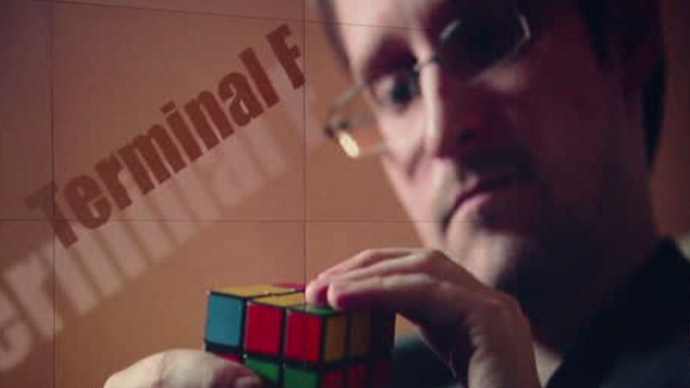 So, the quite ingenious method that he [Snowden] invented was to hold this Rubik’s cube and that was the first thing I looked for,” said Glenn Greenwald, The Intercept journalist who worked with Snowden on the NSA documents trove. With all the mystery surrounding Snowden, there were a lot of challenges while filming. It was not only difficult to organize an interview with Snowden himself, so much needed for the film to get his first-hand experience of the developments. “It was very difficult to get a coalition of broadcasters together to do it. It was an issue that people in Washington just don’t want to talk about,” recalls Goetz, and when the former NSA director Michael Hayden agreed to speak on camera, it was a big break because the former official was directly involved in the whole issue. Michael Hayden claims that he was defending the American constitution and American values. Yet Edward Snowden argues he was doing the exactly the same thing. “This is actually a very interesting conflict between Hayden and Snowden around the issue who is actually right on the question what needs to be defended,” Goetz said. Snowden is from a family with long military tradition. His father Lon served in the Coast Guard. At the time when Edward Snowden was facing the choice of his life, his father believed that his son’s troubled state was due to some kind of problems between him and his long-standing partner, Lindsay Mills. “He seemed almost depressed and I was very concerned about him. It was not the Ed that I knew,” said Lon Snowden. Altogether, the documentary’s crew tried to get comments from “dozens and dozens” of American politicians on Snowden, but it seems like the issue remains taboo in Washington. The story told by Edward Snowden created a “healthy skepticism” among the public about what the US National Security Agency is doing with its surveillance programs, both in the United States and around the world, Goetz said. 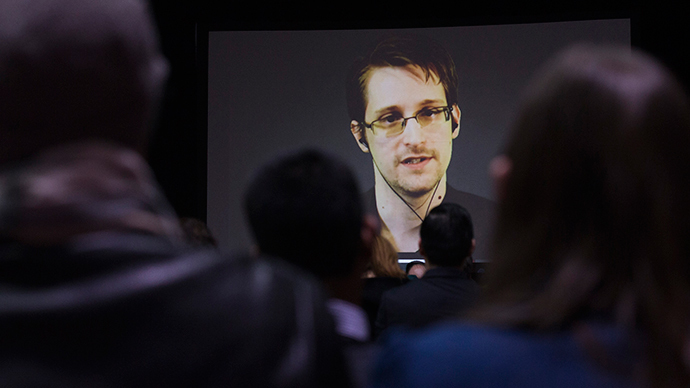 At first Snowden’s seemingly excessive precautions surprised the people meeting him. “At the time I thought, ‘He is paranoid.’ When he wanted to access his laptops, he would pull big red hood over his head and over his computer so that nobody sees him putting in his passwords,” recalls Guardian journalist Ewen MacAskill. “It’s only logical when you have the whole US government going after you that you need to take security precautions,” Goetz said. Snowden was granted temporary asylum in Russia in 2013 after spending a month in the Terminal F of the Sheremetyevo international airport. Having received a three-year residence permit in 2014, he continues to live in Russia. Snowden has become the subject of three films now. Earlier this year documentary Citizenfour, directed by Laura Poitras, won the Academy Award for best documentary feature. Director Oliver Stone is also preparing to present his Snowden movie, starring Joseph Gordon-Levitt on Christmas Day this year. RT is presenting its “Terminal F / Chasing Edward Snowden” documentary on Monday April 13 in Moscow. A day later the movie will be aired on RTD, RT’s documentary channel.